ESSEX — The Yanks didn’t enter the European theater until 1917 but it was the war to end all wars. The Federal and State governments did much to document those being registered and ultimately selected to serve. Bring names to research and join us on Tuesday, June 6, at 5:30 p.m. as Librarian Norma Wright presents an illustrated talk on using online library genealogy resources to search for the heroes of WWI. This program is free and open to the public. Call (860) 767-1560 to register or for more information. The Essex Library is located at 33 West Ave. in Essex. ‘The Overlook’ by Pam Carlson of Essex is one of the signature paintings of the Spring Exhibition at Maple & Main. CHESTER –- The opening reception for the Spring Exhibit at Maple and Main Gallery will be Saturday, April 8 from 6 to 8 p.m. The party includes a wine tasting from 6 to 7 p.m. by Eric Nelsen, owner of the Chester Package Store, and from 6 to 8 p.m., an assortment of appetizers and sweets and wines will be offered. The show will feature new works by 48 established painters and sculptors ranging from traditional to abstract in a wide variety of sizes, medium and price points. From April 5 through 30, the art department of Haddam-Killingworth High School will display work in the Stone Gallery with an opening party, April 6 from 5 to 7 p.m. 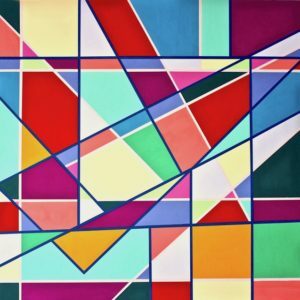 In May, in there will be a special show of 8 x 8 paintings by Maple and Main artists in the Stone Gallery with an opening on First Friday, May 5 from 5 to 8 p.m. The Spring Exhibit opens Wednesday, April 5 and runs through Sunday, June 18. Maple and Main Gallery is open Wednesday and Thursday from noon to 6 p.m.; Friday, from noon to 7 p.m.; Saturday, 11 a.m. to 7 p.m. and Sunday, 11 a.m. to 6 p.m. Please visit our webpage: mapleandmaingallery.com or facebook page. 860-526-6065; mapleandmain@att.net. CHESTER/WESTBROOK — Over many years, Andy Schatz has devoted his professional life as a lawyer to civil liberties and social justice – advocating on behalf of health care for the poor, rights for the disabled, improved educational opportunities for minorities, consumer protection and a host of other public causes. For all these efforts the Westbrook resident has been selected as the recipient of the 2017 Philip Scheffler Pursuers of Peace and Justice Award, given by Congregation Beth Shalom Rodfe Zedek in Chester. He will be honored at a Shabbat service on Saturday, April 8, at 10:30 a.m., to which the public is invited, and that is followed by a luncheon, the award presentation and a panel discussion on social justice and the news media. Schatz is a graduate of Harvard Law School, where he was editor of the Harvard Civil Rights, Civil Liberties Law Review. He has served over the years in many organizations, including Advocates for the Handicapped, Legal Aid of Chicago, West Hartford Community Television, the Jewish Community Foundation of Greater Hartford, the American Civil Liberties Union, both as a national board and executive committee member, and as president and vice president of the Connecticut chapter. As a law student and later as a lawyer he pursued successful class action litigation regarding consumer and anti-trust matters, challenges to strip searches of female arrestees, school segregation and government intrusion, and has worked on a wide range of issues involving the rights of prisoners. He has also been the chair of the CBSRZ Social Action committee over the last five years. With his fellow congregants he has led efforts to alleviate the effects of poverty, including food drives and meal sites for Shoreline Soup Kitchens & Pantries, and furnishing apartments for the homeless, clothing drives for children, and similar projects. In addition, under his leadership, the committee has supported and sometimes led legislative efforts aimed at gun control, children’s rights, and racial justice. The award is named after Philip Scheffler, a congregant who had a long career at CBS News as a producer and as executive editor of 60 Minutes and who died in April 2016. Andy Schatz is the second recipient of the award. Martha Stone, of Durham, longtime director of the Center for Children’s Advocacy, was the first. The panel discussion after the Shabbat service will feature Schatz, along with James Jacoby (former colleague of Scheffler at CBS News), Allan Appel (of the New Haven Independent), and Jeff Cohen (WNPR). In order to be sure to accommodate all who wish to attend, the congregation asks that those interested to RSVP either by calling the CBSRZ office, (860) 526-8920, or by registering online at www.cbsrz.org. AREAWIDE — A documentary produced by Vista Life Innovations, a community-based education program supporting the personal success of individuals with disabilities, has been selected to make its world premiere next month at NHdocs: The New Haven Documentary Film Festival. 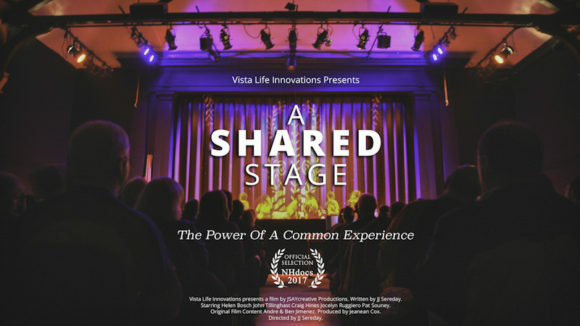 Titled “A Shared Stage,” the 30-minute film takes viewers behind the scenes of “Joseph and the Amazing Technicolor Dreamcoat,” Vista’s first all-abilities musical production starring a unified cast of performers from the shoreline theater community and Vista. The production played to three sold-out audiences in 2014 at the Ivoryton Playhouse. By documenting the experiences of individuals who participated in the production over a four month period, “A Shared Stage” tells the story of what is possible when people are given the opportunity to truly get to know one another through a common experience. “A Shared Stage” will be screened Saturday, June 3, at the New Haven Free Public Library, 133 Elm Street, starting at 3:45 p.m. The film was produced in association with JSAYcreative Productions with support from The Peter and Elizabeth C. Tower Foundation. With campuses in Madison, Westbrook and Guilford, Vista has been providing services and resources to individuals with disabilities for over 27 years. For more information about Vista, visit www.vistalifeinnovations.org. ‘Interrogation’ by Ann Knickerbocker is one of the featured paintings of ‘Up in the Attic’ at the Essex Art Association. The exhibit’s opening reception is Friday, June 2, from 6 to 8 p.m. The show runs June 3-24. The EAA Gallery is located at 10 North Main Street, Essex, CT. Gallery hours: 1-5 pm daily, closed Tuesdays. 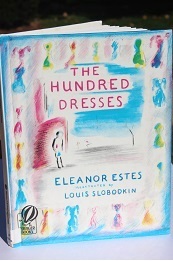 For more information visit essexartassociation.com or call 860-767-8996. 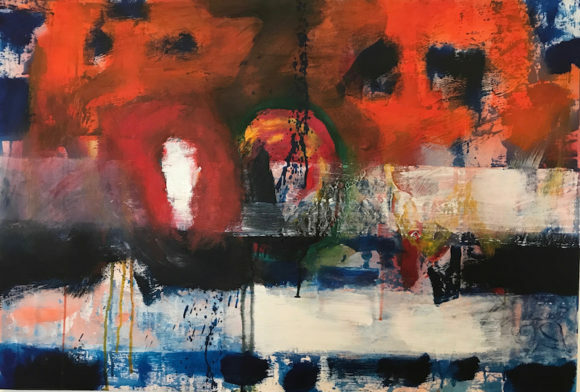 Essex Art Association Elected Artists have distinguished themselves by having works accepted in three separate juried art shows within a five-year period, meaning their work passed through the stringent entrance requirements of at least three qualified judges. The exhibit theme evokes images of boxes of old photographs, a rocking horse and a dollhouse, or maybe a sewing machine. Stored and forgotten treasures found up in the attic make us remember and dream. How can we capture what was the past? The exhibition awards juror, Melanie Carr, is a Connecticut based artist who received her MFA from the College of Art and Design at Lesley University in 2011. Carr began her studies in visual art after serving in the United States Navy as an Operations Specialist onboard the USS Willamette (AO-180) in Pearl Harbor, HI. $1900 will be awarded to exhibiting artists for their work in various media, plus one EAA artist will be given a solo exhibit in the Exit Gallery during our 2018 gallery season. 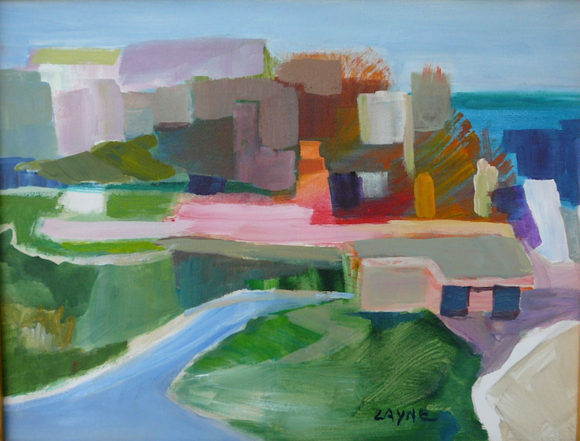 The Exit Gallery exhibit, “When the House Needs Cleaning I Paint,” showcases paintings by LAYNE. Artwork by LAYNE is featured in her solo show at the Essex Art Association’s Exit Gallery. Chanticleer, an orchestra of voices, perform April 2 in Old Saybrook to conclude Esex Winter Series 40th anniversary season. ESSEX/OLD SAYBROOK – Essex Winter Series’ 40th anniversary season concludes with Chanticleer, “an orchestra of voices,” performing on Sunday, April 2 at 3 p.m. at Old Saybrook High School, 1111 Boston Post Road, Old Saybrook. 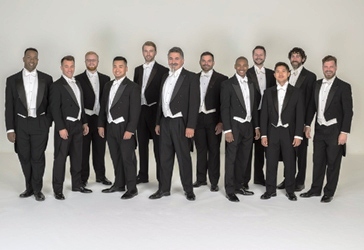 One of the world’s most renowned vocal ensembles, Chanticleer is an all-male chorus that performed as part of the Series in 2015 to a near sold-out audience, despite snowstorm conditions. This year, they present “My Secret Heart,” a program that invokes images of love across time and space. Individual tickets are $35 or $5 for full-time students. Seating is general admission. 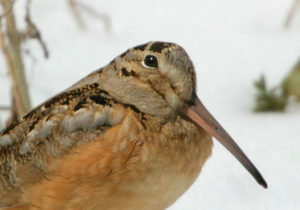 To purchase tickets or learn more, visit www.essexwinterseries.com or call 860-272-4572. The 2017 season is generously sponsored by The Clark Group, Essex Meadows, Essex Savings Bank, Guilford Savings Bank, Jeffrey N. Mehler CFP LLC, and Tower Laboratories. Outreach activities are supported by the Community Foundation of Middlesex County, Community Music School and donors to the Fenton Brown Circle. Congregation Beth Shalom Rodfe Zedek (CBSRZ) is hosting an open house Sunday, April 2, to learn about their educational opportunities for children and teenagers. Tour the building, meet teachers and watch the students in action as they present our Passover program,The Living Haggadah, for their parents and congregants. Open house begins at 10 a.m. and the Living Haggadah program begins at 11 a.m. Call the office at (860) 526-8920 with questions or visit cbsrz.org to learn more about the synagogue or their many educational and cultural programs.